Today, Microsoft released new cumulative updates for PCs with Windows 10 version 1809 and version 1803. The company has also released a new batch of updates for Windows 10 Mobile handsets. January 2019 cumulative update introduces Windows 10 Mobile Build 15254.547 for all supported phones currently running the Fall Creators Update (version 1709). Similarly, if your phone is on Windows 10 Mobile Creators Update, you’ll see Build 15063.1563. 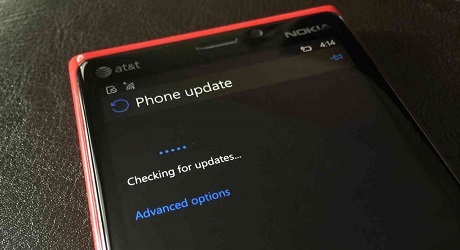 Of course, Microsoft hasn’t added any new features to Windows Phone and there are no noticeable changes, but the changelog suggests that the update comes typical security improvements to Edge browser and other core components. The high-end and supported Windows Phone handsets such as HP Elite x3, Lumia 950s, Lumia 650, Lumia 550, Alcatel IDOL 4S, Alcatel OneTouch Fierce XL and Wileyfox Pro should receive Build 15254.547 (FCU). The other supported or tweaked phones should advance to Build 15063.1563 which introduces general security improvements. As always, you’re recommended to install the cumulative updates on your phone as early as possible. In related news, Microsoft is planning to retire some of its Cortana features on Windows Phone 8.1 handsets in January 2019. If your handset runs on Windows Phone 8.1, you will see a “Change is constant” message which informs users that Cortana homepage content including the top headlines will disappear in January. The voice commands and the other features of the digital assistant will continue to function normally. The message says that the Cortana homepage features will be retired and the digital assistant won’t be able to show you what’s coming next. You can still interact with Cortana and she will continue to answer your questions or manage your reminders.